Only six years ago, the horizon looked bleak for coffee bean farmers in Kona, Hawaii. 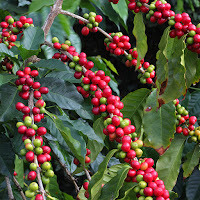 The dreaded coffee berry borers (Hypothenemus hampei) had infested up to 44 percent of Kona’s coffee crop and began threatening the livelihoods of Kona’s farmers! In a market where quality is king, these coffee farmers could hardly compete with the minimal yields they were working with. Fortunately, the farmers found a surprising solution: the beneficial fungus, Beauveria bassiana. a soil drench as well. 1. It is an economically suitable option for most farmers. 3. It is safe to use around other “good bugs”, including the bees we all love. The advantage to using a beneficial fungus is that your control spray continues to grow, spread and infect pest insects long after you spray. All it takes is one spore for B. bassiana to begin its battle for control, moving from pest to pest while infecting them with white muscardine disease. Pests get slower and slower, before finally succumbing to the disease, becoming a stationary breeding ground for the fungus that will erupt from their bodies. At this stage, you may come across an insect covered in white fuzz. Gross right? 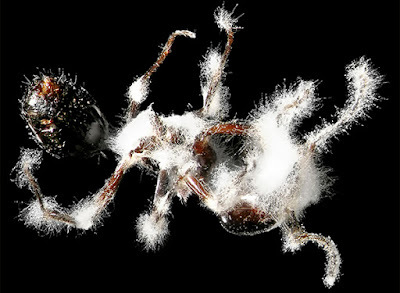 The video to the below shows how the fungus works to control bed bugs once applied. It moves through other insect populations in the same manner. 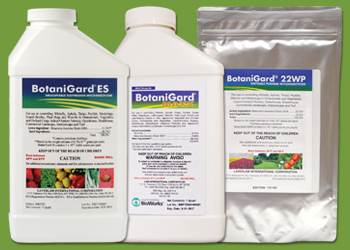 While the use of B. bassiana is a new discovery in the control of coffee berry borers, it has been used extensively to control common garden pests like aphids, whiteflies, mealybugs, tomato hornworms and more. If you are making an effort to garden organically or build up your local pollinator populations, consider trying B. bassiana the next time you have a pest infestation. It works great alongside green lacewing and ladybugs, especially when those summer pests come out! Subscribe to the Dig Deeper blog and join ARBICO’s email list for limited time discounts, pest control recommendations, organic growing supplies and more information about how people are tackling problems with an eye towards sustainability! What is the risk of infecting beneficials and pollinators (e.g. honey bees)? Beauveria bassiana does not infect beneficials or pollinators. It is one of its best traits! It’s Not Too Late To Prevent Summer Diseases!